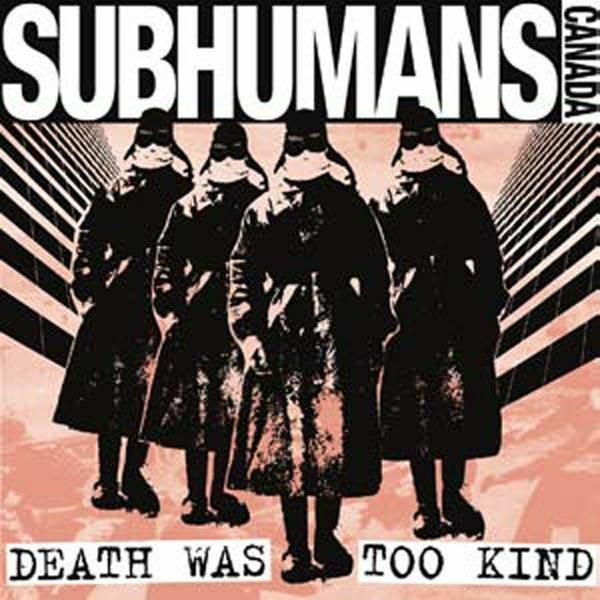 Subhumans and DOA were the two pillars of the Vancouver, BC, Canada punk scene who caught Jello Biafras attention and were spotlighted in the landmark Alternative Tentacles compilation Let Them Eat Jellybeans. The Subhumans, first active between 1978 and 1982, were the more elusive of the two, with many out-of-print releases fetching bank on eBay and making it difficult for present-day fans to connect the dots. Now, the Subhumans join the Alternative Tentacles "Reissues of Necessity" pantheon with Death Was Too Kind, a collection of material from the early years, lovingly remastered from original source material: the very first single Death to the Sickoids (only 500 were pressed); the Firing Squad single; the self-titled EP produced by Bob Rock, who went on to work with Metallica, The Cult, Offspring, etc. ; "Look at the Dawn" and "Pissed Off. With Good Reason," two virtually lost songs (only available on the 1996 collection CD released by Essential Noise in Canada), especially remastered for this reissue from the original tapes by Jesse Gander at Hive Studios. Death Was Too Kind features the bands best-known lineup with Wimpy Roy, Gerry Useless, Mike Graham, Dimwit, and Jim Imagawa. 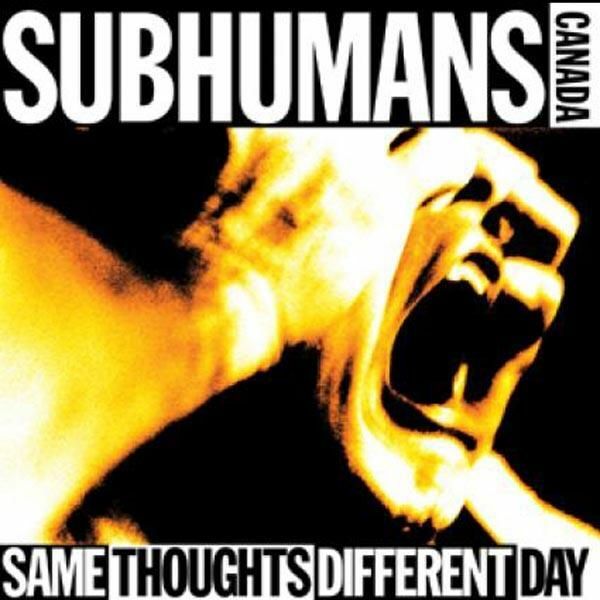 In Canada's glorious punk history, few embodied the greatness of the 1978-82 era like THE SUBHUMANS (not to be confused with the UK SUBHUMANS). This titan of Vancouver punk engaged with the burgeoning worldwide movement and shared stages with BLACK FLAG, DEAD KENNEDYS and BAD BRAINS. This album unleashes 14 new songs, the first written by original members Mike Graham, Brian Goble and Gerry Hannah since 1982! Joined by drummer Jon Card (SNFU/DOA), the songs are every bit as dynamic, powerful and poignant as the band's beloved early material. They rock out with seething intelligence and soulfulness. The sound is both classic and unique, and these guys have been around too long to bother imitating anyone else! 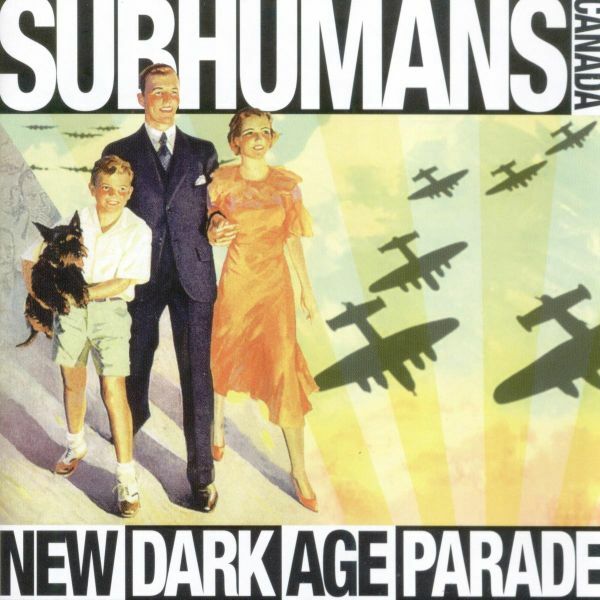 Rather than rehashing the past, THE SUBHUMANS forge ahead with compelling vitality. Classic 1980 punk album, re-recorded with six additional songs from the same period.